White Slaves of Chinatown: Is Big Star The Greatest Band Ever? Is Big Star The Greatest Band Ever? My point being that the average person has never heard of Big Star (and probably wouldn’t care about them if they did). 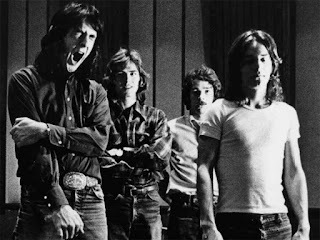 A band who only (officially) existed for three years, from 1972-1975, had zero hit singles, only two proper albums and played live probably less than a hundred times, Big Star (on paper) is the definition of a never-has-been group of four guys who should have rightfully deserved to be consigned to the bargain bin of time. Long after the group had broken up and its members either went their separate ways or died, small groups of young musicians began to rediscover their albums that had never, really, been discovered in the first place. As these young music groups began to gain popularity (R.E.M., The Bangles, The Replacements, et. al. ), they started to spread the gospel of Big Star. That gospel continues to spread incrementally, through the categories of people mentioned above, to this day. 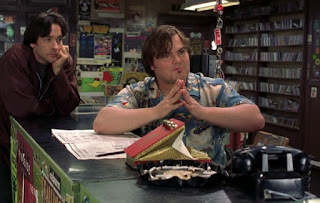 Now, I’m not here to discuss the history of this ill-fated band, or their resurgence and partial reunion in the 1990’s. For that information, you can look to either Rob Jancovic’s incredibly detailed journal, Big Star: The Short Life, Painful Death, and Unexpected Resurrection of the Kings of Power Pop or take a look at Drew DiNicola’s exhaustive and beautiful documentary, Big Star: Nothing Can Hurt Me, both available through Amazon and other retailers. In this blog entry, I’m going to talk about what happened after. After all of that. After the deaths of founding members Chris Bell (in 1978) and Alex Chilton & Andy Hummel (both in 2010). When the only surviving members of the band were the original drummer, Jody Stephens, and the two members of The Posies (Jon Auer and Ken Stringfellow) that helped to reconstitute the band, substituting for Chris and Andy from 1993-2010. The death of Alex Chilton (whose own story can be read in A Man Called Destruction: The Life and Music of Alex Chilton, From Box Tops to Big Star to Backdoor Man by Holly George-Warren) in 2010 of heart issues, only days before the band were slated to play at Austin’s SXSW Conference, sent the festival’s musical community into a crisis of conscience. Should they continue to play, even without Alex? That seemed irreverent and almost blasphemous. 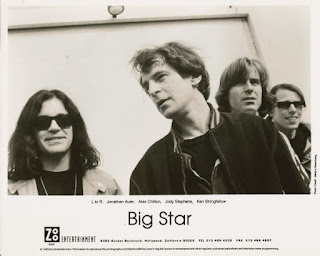 Alex Chilton was Big Star. Without him, it was just two guys from The Posies and Big Star’s drummer. That wasn’t Big Star. Their first inclination was “no”. But then other musicians attending the fest began to contact the three remaining members. They had all been touched by Big Star’s music and they wanted to turn the show into a memorial. They would step in and sing in Alex’s place. 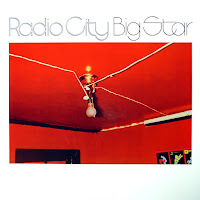 Evan Dando, Mike Mills, Sondre Lerche, John Doe, Chris Stamey and others ended up joining the frontman-less trio onstage for an elegiac consummation of Alex Chilton’s talent and Big Star itself. Jon Auer later stated, “After Alex died, there was no way that we could see to continue to do this music legitimately.” And that was the end of Big Star. 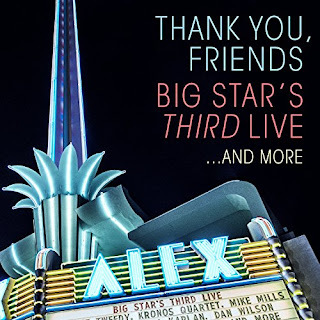 Chris Stamey (of the dB’s) who had played with Chilton way back in the late 70’s during Alex’s “punk” phase, had the idea to get ahold of the original string scores for Big Star’s ill-fated Third record and see if he could get a group together to perform it. All of the old creative gang were amenable. Original composer Carl Marsh said that he would recreate whatever was lost. Jody Stephens said he’d be willing to play drums. Mitch Easter (Let’s Active) wanted in. R.E.M.’s Mike Mills, too. Ken and Jon wanted to continue to play Big Star music, so they were on board. Some other musicians got involved and everyone learned Third, and every other Big Star or related song they could, going back to the master tapes and carefully going over each individual track. If the song had four guitar overdubs, they all agreed on having four guitars onstage. Each part was meticulously duplicated. But they daren’t call themselves Big Star. Because they weren’t. Big Star was Alex and Chris and Andy and Jody. The 90’s incarnation weren’t really Big Star either, as much as we all wanted them to be. They were a second rate simulation. I know. I saw them once. It was emotionally thrilling. I was seeing Big Star! But, in reality it was a paint-by-numbers performance. Alex put zero passion into what he, clearly, saw as just another money making operation. Hell, during this time period he did reunion shows with the Box Tops as often as he would with Big Star. 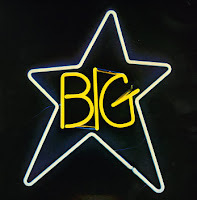 The new group decided to call itself Big Star’s Third Live, a rather unwieldy name; hard to fit on a marquee, but it told the audience what to expect. They weren’t a tribute band. This wasn’t “The Pink Floyd Experience”. Nor was it “Cheap Trick performs In Color in its entirely plus other hits”. Neither was it some kind of one-off “Tribute to Big Star” featuring Bruce Springsteen and others. 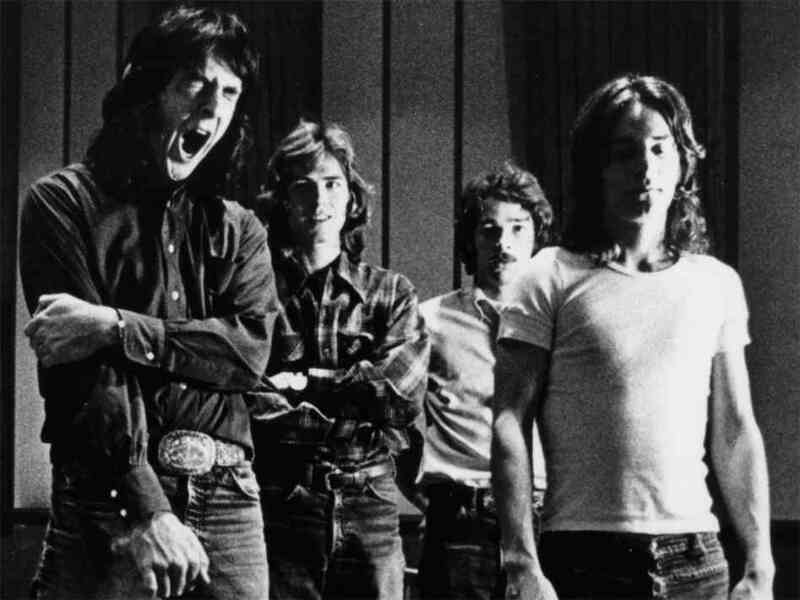 This was a collective of, mostly minor, underground or unknown musicians who had, now, dedicated themselves to preserving the music of Big Star in a way that had never been done before. “This is a band giving tribute to themselves,” guest artist Robyn Hitchcock said. It wasn’t an “oldies” show. It was a show that was insisting that this music was as vital and as important as it had ever been. Maybe more so. 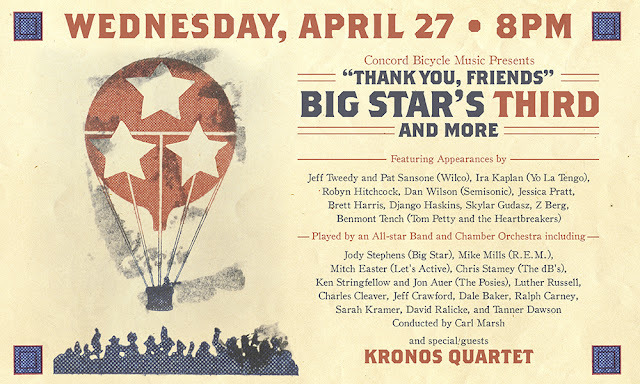 So, for the past six or seven years, Big Star’s Third Live have been gathering around four times a year, in various locations, incorporating various guest artists (a list of whom would take up too much space) from the environs and putting on a concert that celebrates the beauty and importance of the music of Big Star. I’ve got bootlegs of about half a dozen of these shows. 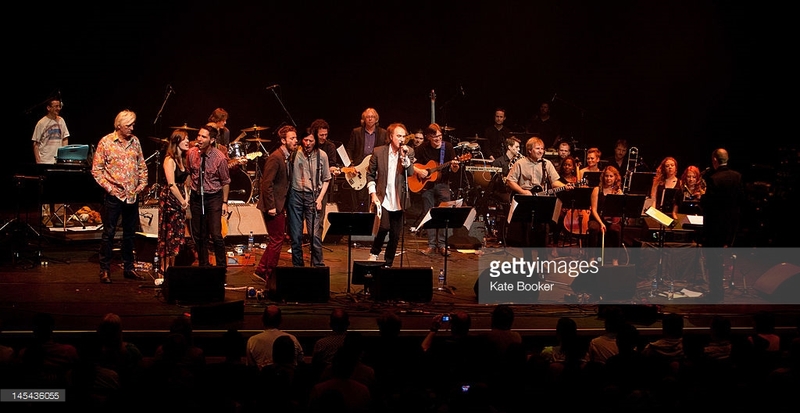 The performance at the Barbican Hall in London in 2012, guest starring locals Norman Blake and Ray Davies, is a thing of beauty. The sound quality is good. Not great, but listenable. Some of the other BS3L boots are taken from radio broadcasts and sound very clear. 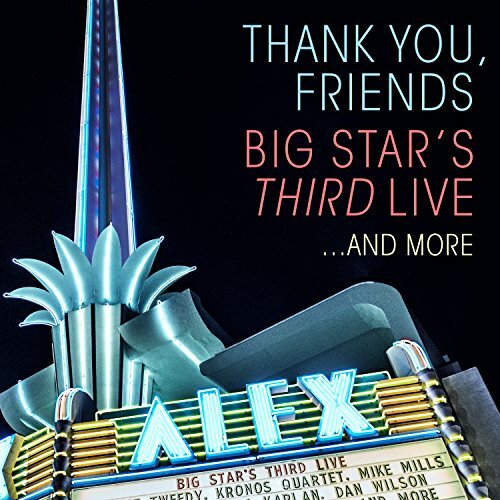 This April, Concord Records released a proper 5.1 surround sound recording of a BS3L show with the double CD/DVD, Thank You, Friends: Big Star’s Third Live...And More. Recorded almost exactly a year prior at the appropriately named Alex Theatre in Glendale, CA., the line-up consists of core band members Stephens, Stamey, Easter, Mills, Auer, Stringfellow, Skylar Gudasz, Brett Harris, Pat Sansone (Wilco) and Django Haskins. Special guests include Robyn Hitchcock, Ira Kaplan (Yo La Tengo), Benmont Tench, Dan Wilson (Semisonic) and Jeff Tweedy. The Kronos Quartet provides the string accompaniment. 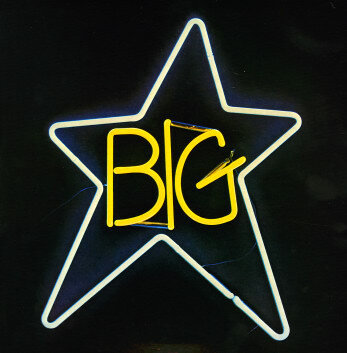 For those who know the music of Big Star, the release (especially the DVD) is a revelation. The music is treated with respect. This is a recital, not a concert. This is something that you sit back and listen to with respect and (new) understanding as the complexity of the music is revealed through the players onstage. Director Benno Nelson focuses on not only the whole picture, but the little things that are happening. A little tap on a cymbal. An operatic soprano that you never knew was present in the original recording. Six guitars onstage, layering chords, one on top of the other, duplicating the painstaking process that it took to get the ringing sound of "September Gurls”. Four singers simulating the overdubbed harmonies on a song like “Give Me Another Chance”. The performance is divided into two parts. 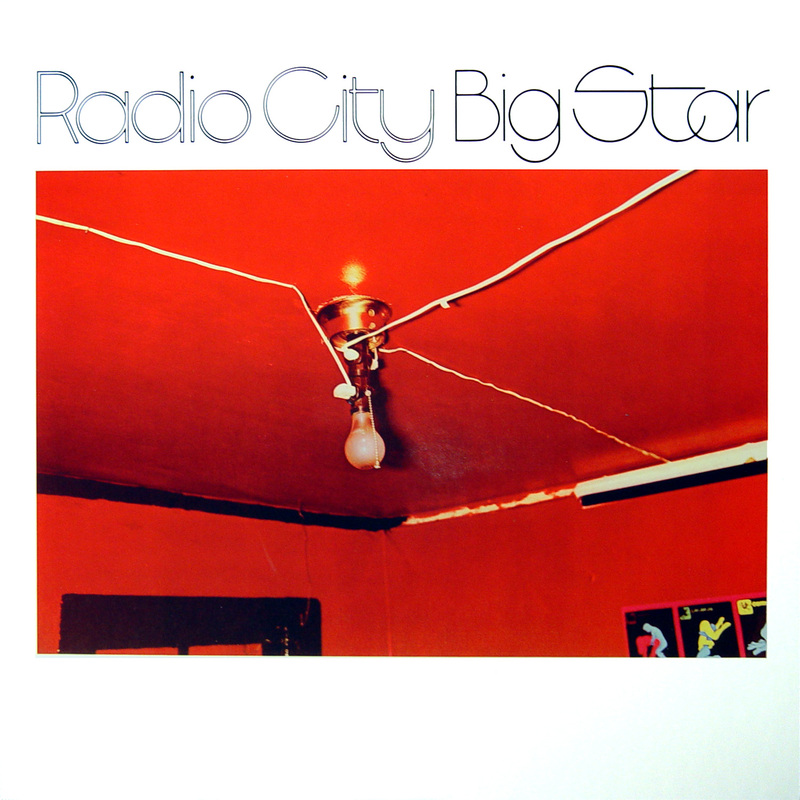 The first section consists of songs from the first two Big Star albums, #1 Record and Radio City, with the emphasis heavily on the former. Then the collective heads full bore into Third, playing the entire album, minus the cover songs that were included on the original vinyl. Original tracking order is ditched (Third never really had an official tracking order anyway) in favor of what, at first, feels capricious, but then reveals itself to have maximum emotional impact. Gudasz, Harris & Haskins perform "Thirteen"
Less famous core band members Brett Harris, Django Haskins and Skylar Gudasz really stand out. Maybe because we don’t expect them to be great. But they are. Tweedy puts aside his Tweediness and really gives “Kizza Me” and “Night Time” his all. Mike Mills shows his playful side with “September Gurls”, “Jesus Christ” and “You Can’t Have Me”. Everyone puts their egos aside for what is, obviously, a labor of love. I’ve viewed the DVD a number of times, and been close to tears each time. Like the quote that I started this piece with, this release makes you feel as if Big Star were the biggest Pop band ever. They’ve created (along with Elvis Costello) the most important music in my life. I hope that this CD/DVD release will inspire more people to invest some time in their music. It just might reveal itself to you and you might have an opinion on the question that I posed in the title of this piece. Is Big Star the best band ever? Of course not, you say (even if you’re a fan of Big Star). The Beatles, The Stones, The Who. There’s no way that Big Star (however good they may be) can compare to the likes of those bands. And I agree. There’s no way that they can compete. But let’s level the playing field a bit, huh? Big Star put out three records. Two really, since Third didn’t get a proper release until years after the band broke up. Now, let’s pretend that The Beatles, The Stones, The Who (or any other band that you’d like to insert here) were only judged by the first three records that they put out. Would The Stones be considered great if all we had to judge them on were The Rolling Stones, The Rolling Stones No. 2 and Out of Our Heads? I think not. They were still evolving. They’d just be a footnote in the history of Rock. What if The Beatles career had ended with A Hard Day’s Night? Or The Who had broken up after The Who Sell Out? Now that we’ve altered the musical landscape, who’s the greatest band ever? I think that Big Star’s in the running. I had some spacing and font issues in this article. Please understand, I'm learning as I go.